The low tides during the winter months are excellent times to get out and enjoy the Oregon Coast. During these hours when the water is receded far out into the ocean can be prime time for some of the most popular beach activities including: exploring tide pools, searching rocky beaches for agates, shells, and other random gifts from the ocean, and digging in the bays and along certain beaches for clams. The following days are the days that there is a negative tide making these excursions more likely to be fruitful. I have only included times that are from dawn to dusk as it can be dangerous during no light situations along the coast especially during the winter. If you are out along the beaches remember to always keep an eye on the ocean, during winter the seas can be stormy and fun to watch, but at any moment a large wave can break on the beach so be vigilant when close to shore digging clams and looking for unique agates in the sand and stones. 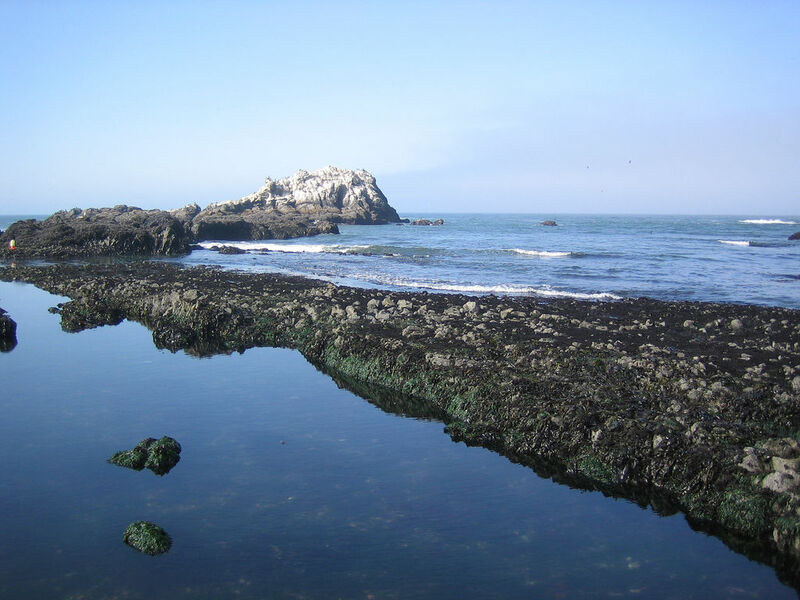 Take advantage of these great tides for exploring the beaches and coastline. If you like to hunt for agates or dig for clams plan your next beach trip in November during one of the times below. Check out the rest of the tide data at the National Weather Service Forecast Office for a listing of each tide by local city. The Oregon Coast has many beautiful places to visit, some of which are not easy to reach. That is the case with Brookings. Brookings is just about as far south as you can go on Highway 101 and still be in Oregon. It is one of the few cities designed by an architect instead of growing haphazardly. John E. Brookings was looking for a place to start a lumber company in 1906. He put his cousin Robert S. Brookings in charge of setting up the town. Robert hired Bernard Maybeck of San Francisco to plan the town. The Chetco Valley Historical Museum advertises that it has something old and something big. The something old is the building that houses the museum – Blake House, built in 1857, is a two story wooden building. Harrison G. Blake was the first member of the Oregon House of Representatives from Southern Curry County. His house was the home of the Chetco Post Office the area’s first stagecoach station. The museum houses a collection of household furnishings including a spinning wheel and historical exhibits. The something big is a Monterey Cypress, the largest in the United States. The tree, planted by Blake when the house was built, is 130 feet tall and 18 feet wide. Fishing plays a big part in Brookings’ economy. The Port of Brookings Harbor is home for quite a number of commercial fishing boats. Chinook salmon, Coho salmon, and tuna make up a large portion of the catch. Sport fishermen and pleasure boaters also use this harbor. Crabbing and clamming are very popular here. Between $25 and $30 million in damage was done to the port and harbor by the tsunami caused by the Japanese earthquake of 2011. The docks were torn away and pilings broken. The eight foot high wave tossed the boats around and swept some out to sea. The port and harbor rebounded beautifully and are back in service. There are a few boutiques and restaurants at the harbor, and lots of fresh seafood. Samuel H. Boardman was the first Oregon Parks superintendent and instrumental in keeping Oregon’s coast open to the public. The Samuel H. Boardman State Park just north of Brooking has several different attractions. Indian Sands, an archeological site, was listed on the National Register of Historic Places in 1992. Oregon State University after carbon dating artifacts concluded that humans lived here more than 12,000 years ago. Natural Bridges, Thunder Rock, House Rock, and Whaleshead are natural rock features in the ocean just off the coast. Spruce Island is a large rock formation with Spruce trees growing on the top. The tiny beach between Spruce Island and Thunder Rock Cove is called Secret Beach because it is rarely visited. Since the beach cannot be seen from the parking lot people assume there is no beach. Also within the park is Miner Creek, a stream fishermen favor due to the many varieties of fish including smallmouth bass, largemouth bass, and rainbow trout found here. The chances of catching fish in this stream are excellent. It is a long drive to get to Brookings from most of Oregon. However, once you get there, there is a lot to see and do. 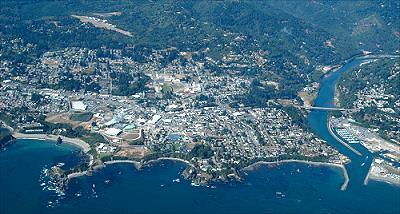 For more information check out these articles with information about Brookings, Oregon.